Editor’s note: Tara is our latest guest writer. I look forward to more of her posts as she is one of my most active NOadventure friends. Remember, anyone who shares their NOadventure gets a killer American Apparel charcoal NOadventure tshirt. 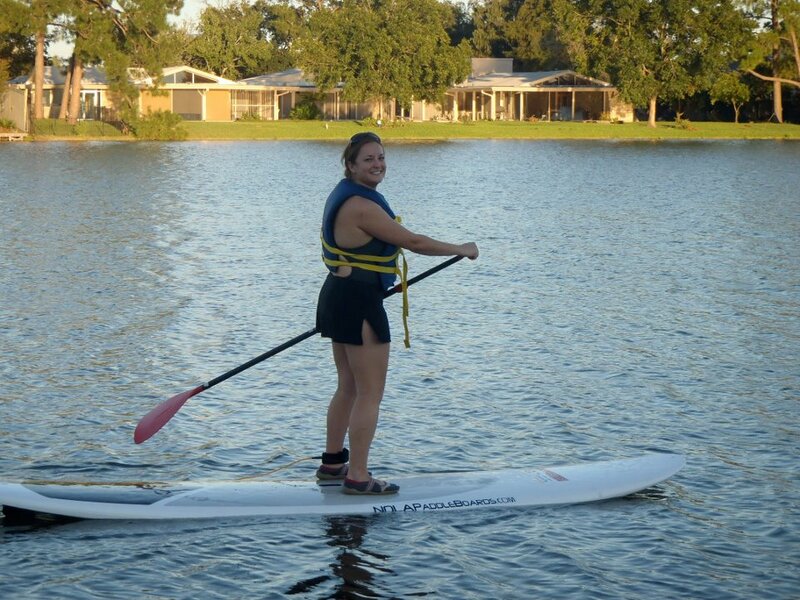 Anyway, back to Wednesday evening and NOLA Paddleboards. 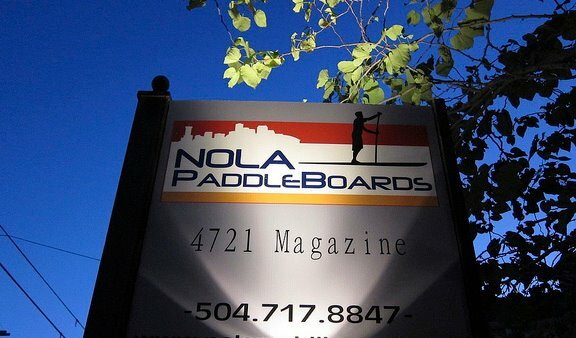 NOLA Paddleboards is a new company that opened in April 2011 and just recently opened a retail and rental store on Magazine Avenue. 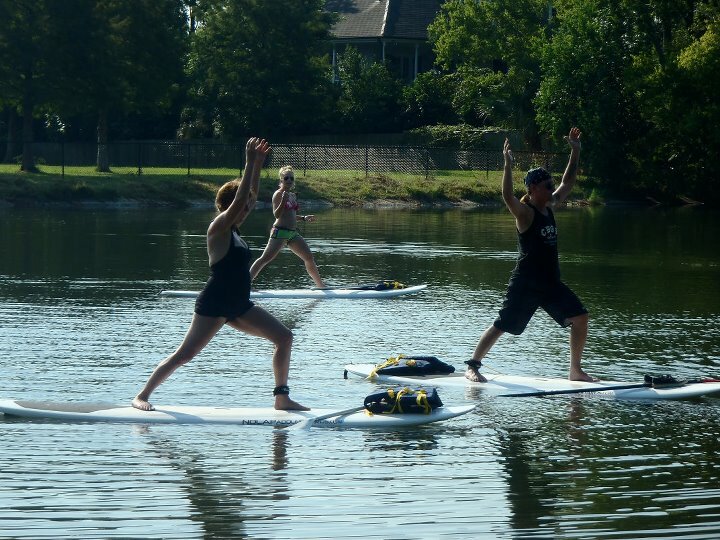 They offer paddleboard lessons, yoga classes and weekend “board meetings”. 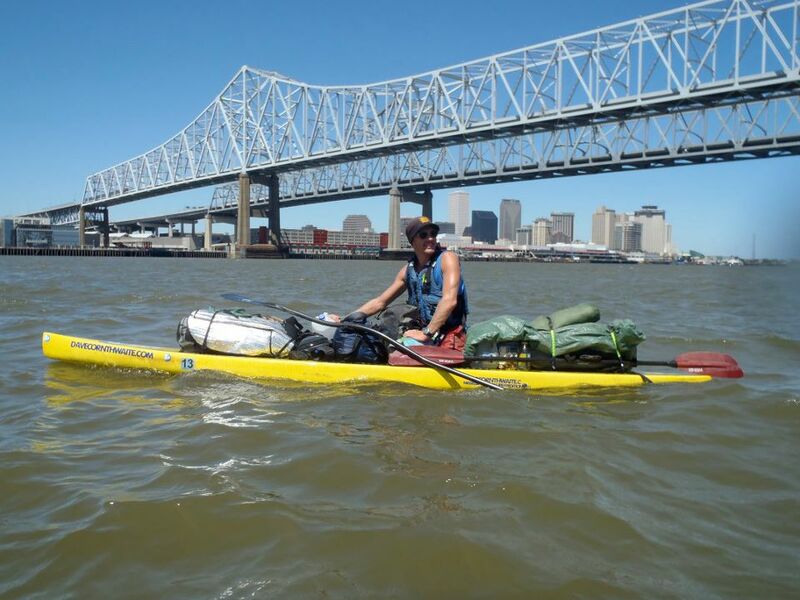 We met on Bayou St. John at Wisner and Filmore and unloaded the boards into the water. 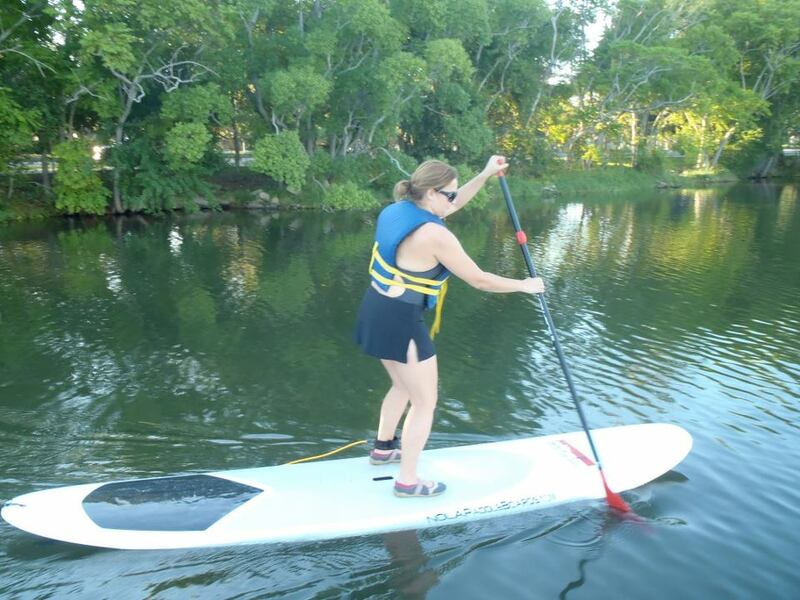 It was my first lesson and the biggest challenge was keeping my balance. I felt like I was standing on a surfboard. It was both an enjoyable experience and a workout. As we paddled along, we were often stopped by locals bike riding who had no clue what the sport the sport was all about. Jeff told me about their yoga class and their “star” instructor that can do handstands on the board. 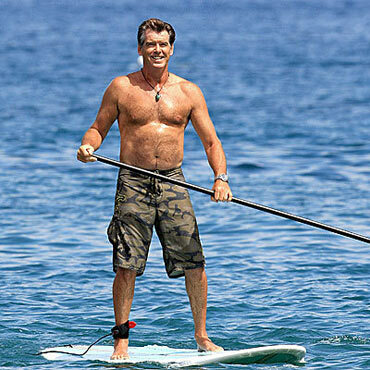 This is an upcoming sport that is very popular in California and other beach states(editor’s note: Just wet to Pensacola over the weekend and the beach was crawling with SUPs). 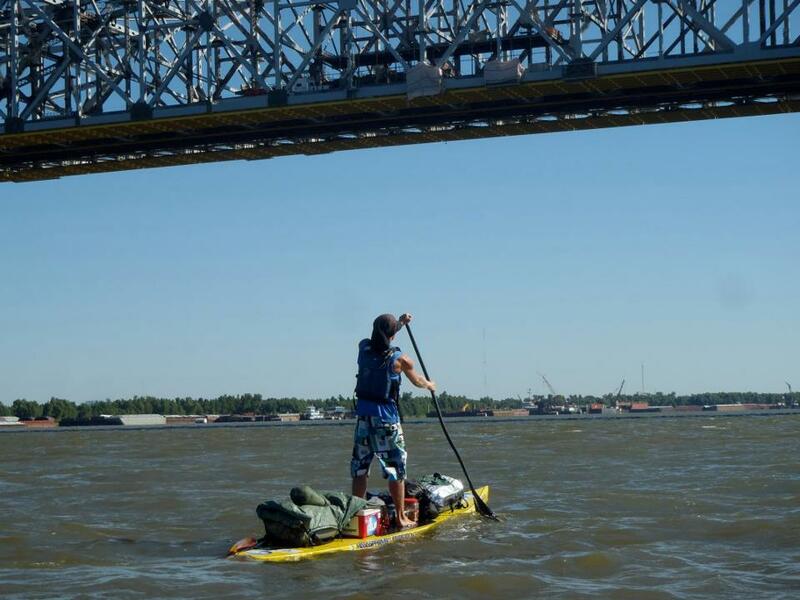 Currently, there is a guy paddleboarding down the Mississippi River and it looks like he’s almost finished or finished. Hey, let’s check out his website while we’re at it. Who knew he was British? 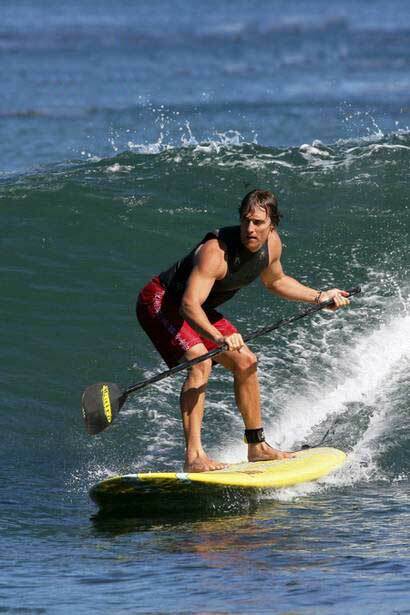 Jeff of NOLA Paddleboards says that he often battles the waves of Lake Ponchatrain and they have “board” meetings in Mandeville, Grand Isle, and around south Louisiana. 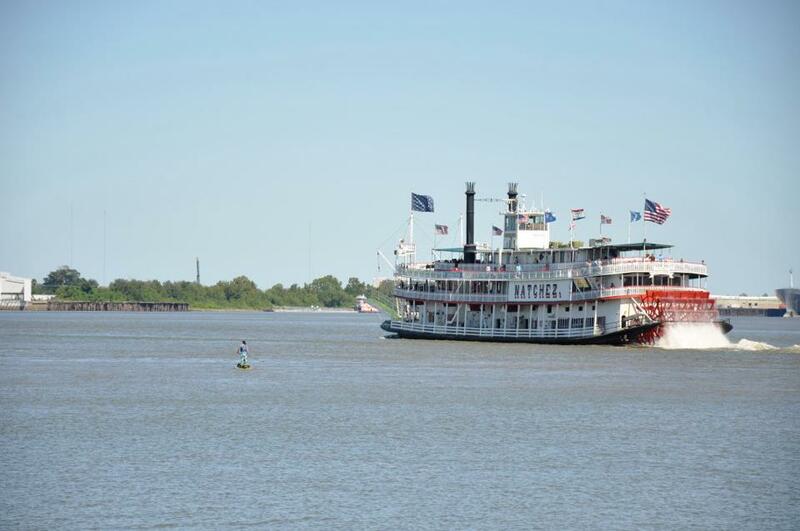 Great experience along Bayou St John!